When you are going to travel long flights, there are a lot of encounters you need to prepare for. From passing security checkpoints to navigating to your plane terminal, your fashion and style could make all the difference in guaranteeing a convenient and enjoyable trip even before reaching your destination. 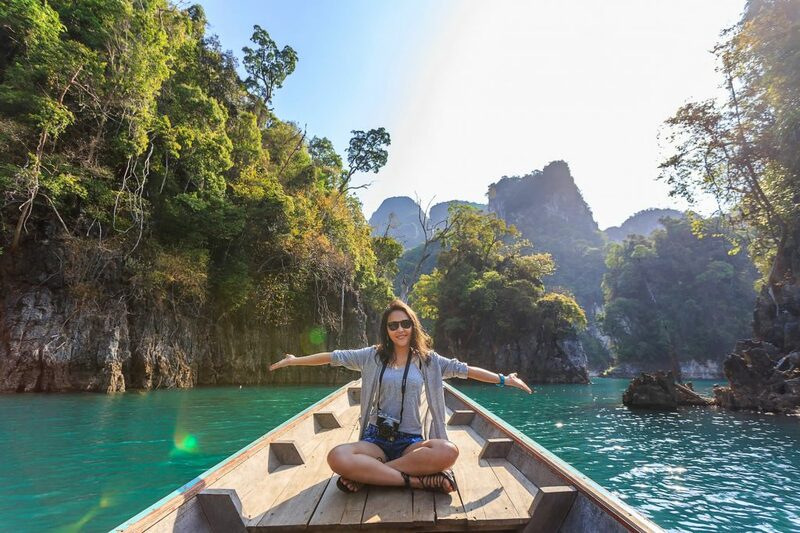 Read on below for amazing fashion tips to make your vacation easier and social media worthy whatever season you are traveling. Some vacation destinations have warm weather at any time of the year including the Maldives and Bali which are ideal for laying down the beach side. When packing your things, it is better to be hands-free and go for a backpack or a sling bag that can handle all the basic travel necessities. Light colored clothes are always recommended for warm and airy weather. Basic tees and shorts for men and light summer dresses for the girls are the easiest and lightest to pack. Cozy slippers are the best for a whole day of walking. If you are attending a formal event in a venue with hot weather such as a Las Vegas hotel, light jackets are great for the gentlemen. Celebrating winter in cold countries is a memorable experience. One of the best destinations for snow and skiing is Japan’s Hokkaido or exploring around the famous Christmas bazaar in Berlin. The extreme temperatures can be a bit rough and packing your things is a lot difficult. A great advice is to bring thick jackets that you can wear more than once to prevent overweight luggage. Experiment with layers but learn to pick your fabrics sensibly. Clothes made of leather and furs are your best choices to give you a more natural look. Going for insulated coats and pants will make you feel more comfortable and will make packing easier since it weights a lot less than others. If you are planning to go on a night out, oversized coats and jackets with a combination of various colors will add more personality to your look. Whether your vacation is just a week long or it will last for several months, the length of time you will spend in every climate will be the deciding factor on how much clothes you will need for your destination. If you are scheduled to spend half of your trip in the cold and half of it in the heat, pack your things evenly. New Chic offers clothes that you can mix and match which can offer the perfect balance of clothing choices for your multi-season vacation. The secret for a vacation with varying climates is to guarantee that all the clothes you’ve packed can be mixed and matched. Planning to buy clothes for your trip? Big discounts await you when you have more vouchers for New Chic. You should always take note of the activities you are going to do during your vacation. Plan all the clothes that you will wear depending on your activities. If you are not sure of the activities, pack clothes which can serve various purposes. For example, pick a pair of pants that you can use for trekking, use in the snow, for sightseeing and for eating outside. Get more coupons in Klook for discounts when booking for your travel activities. Every traveler has a different budget when they are going for vacations. If you want to have a lighter luggage, it is worth investing some of your funds on high-quality traveling equipment. You don’t have to empty your bank account on every item but some necessary items to have are backpacks, shoes and jackets. Consider these items as an investment for your travels. If you pick the right items the first time, you can reuse them again on your next vacation trip. It is recommended to take as much jewelry off and just keep it simple. This gives you a minimalistic look and will make it easier to go through airport security and metal detectors. Headphones are an important accessory in order to make a peaceful atmosphere wherever you will be going. Headphones provide an instant remedy to the noisy airport terminals and loud engine noise inside the plane. Wearing black clothes will make you look cool and it is super easy to accessorize. Lastly, you should keep your makeup simple. The dry and stagnant air combined to long flight hours is not good for your makeup. Do your face a favor by keeping your makeup at a minimum during your travels. No one wants to see you with musty eyes and smeared lips.